The Marmite maker is paying up to 450 mln euros to buy back preference shares worth less than a third of that price. The premium reflects the securities’ outsize voting rights. Buying them out helps clean up Unilever’s complex share structure – and boost its takeover defence. 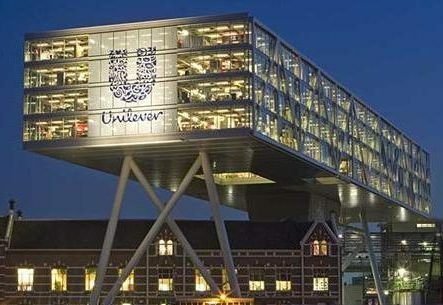 The Unilever office in Rotterdam, Netherlands. Image courtesy of the company. Unilever said on Aug. 9 that it has agreed to buy back preference shares issued by its Dutch entity from two investors. The deal values the securities at 450 million euros. The company agreed terms with NN Investment Partners, an asset manager, and insurance group ASR Nederland, to buy their 97 percent share of the 6 percent and 7 percent cumulative preference shares issued by Unilever NV. The group will make the same offer to holders of the remaining securities. Unilever said the securities were worth 125 million euros at the end of 2016. The preference shares hold 22.8 percent of the voting rights in Unilever NV.